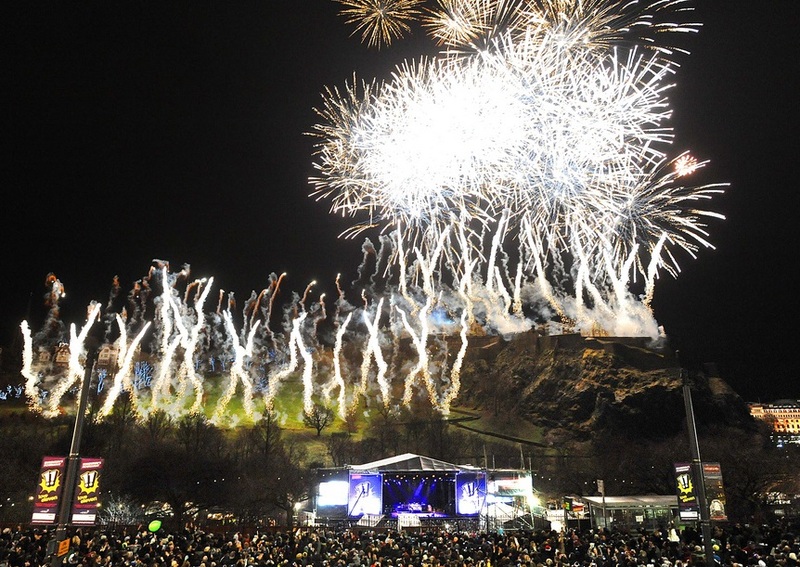 Edinburgh’s world famous street party and Hogmanay fireworks are now in its 21st year and have become one of the most popular destinations to see in the New Year, in fact this event was voted as the only festival in the national geographic top 25 world travel experiences. The team is 16 pyrotechnicians strong led by Toby Alloway and Simon Page now in their 8th year of delivering this world famous event. Since 2014 the display became a pyro musical with a specially designed soundtrack which was created to synchronise the firework performance to, primarily to heighten the experience of the 80,000 street party spectators but to also improve the broadcast of the event. The Edinburgh Hogmanay celebrations start with the famous torchlight procession on Edinburgh-2015-Slider-130th December. 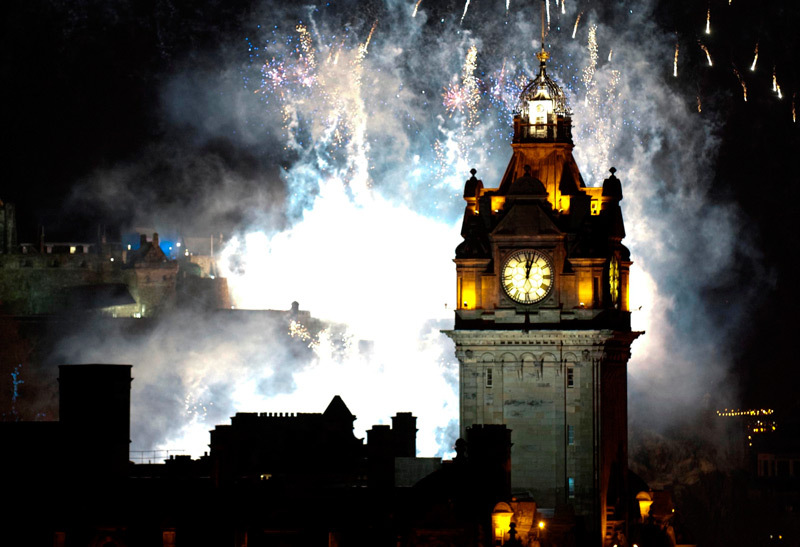 Up to 35,000 people form a procession from the Royal Mile, through the city and converge on Carlton Hill, adjacent to the National Monument and Observatory. Titanium Fireworks provide a celebratory lift from the Castle to start the procession which culminates with a pyro musical son et lumiere on Carlton Hill to end the procession. On the 31st December the team make the final preparations for the Hogmanay display by rigging 30 firing positions in the gardens below the castle behind the main stage of the street party. The display is also fired from within the historic Edinburgh Castle with four aerial shell positions and 21 smaller front positions where single shot and multi shot roman candles are fired to provide continuity and width to the display. The final location is a satellite aerial site from the top of Carlton Hill which fires in synchronisation with the main display at the Castle. As soon as the display is over, the team have to de-rig and clear the historic castle of all firework equipment and debris in order that it can fully reopen to the public the next morning. This is another example where the team have to work closely with the venue and all stakeholders to ensure that disruption is kept to a minimum. The team are well drilled and are usually clear of the castle by 03:00 ready for a well-earned rest. 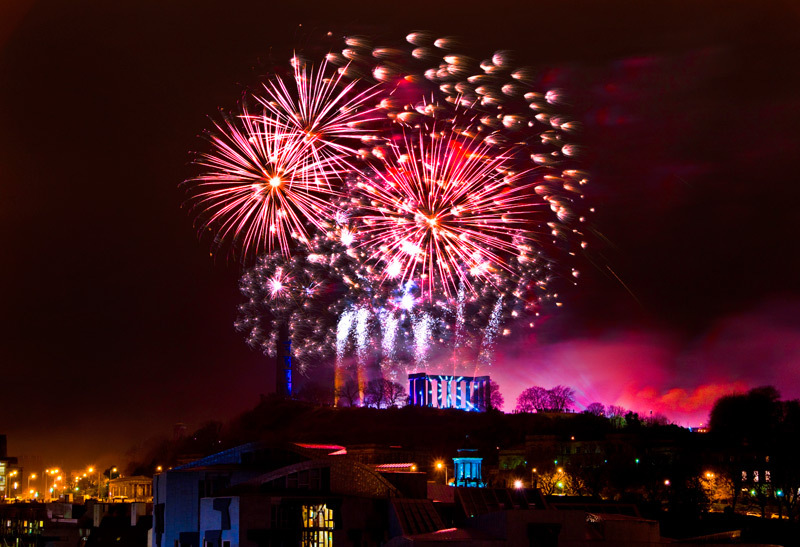 Edinburgh’s Hogmanay 2015 from Titanium Fireworks on Vimeo.